I'm really yearning for summer over here. Can you tell? Nothing says summer to me like tomatoes, because that's when they taste so juicy sweet I can eat them like an apple with a little salt. 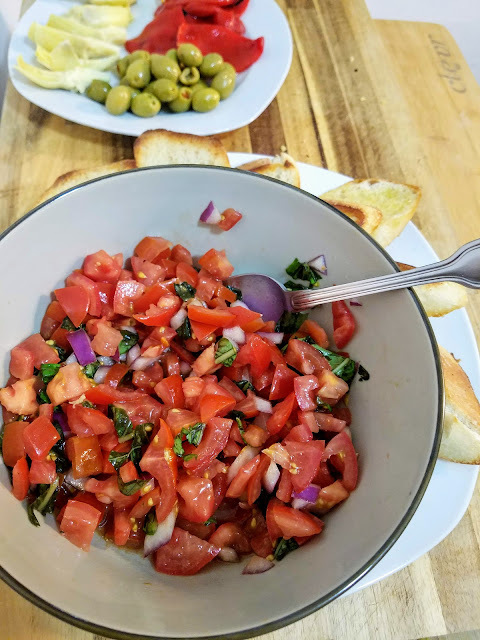 I didn't go that far, but I was craving some fresh bruschetta. 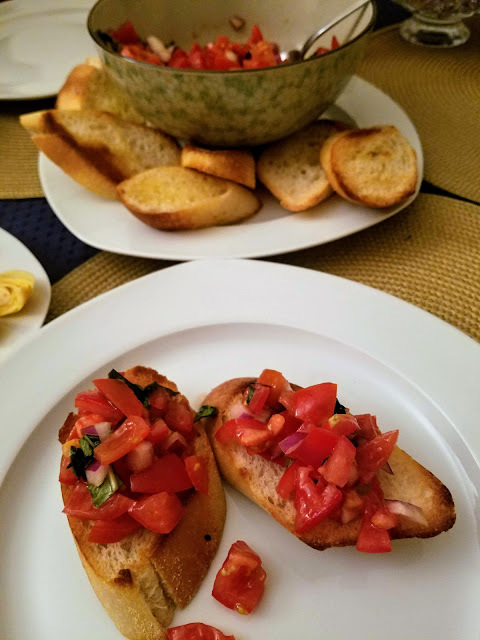 I whipped up this easy balsamic bruschetta in no time. It's great as a party appetizer, obviously, but I highly suggest eating this with a bunch of other finger foods for a fun and different take on dinner! 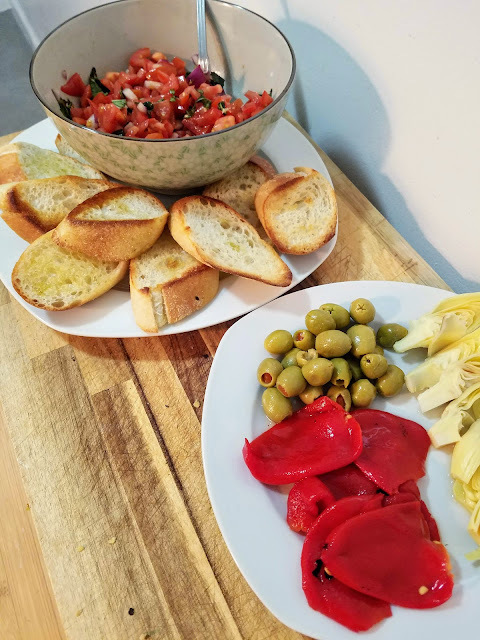 We had our baguette toasts with bruschetta, roasted red peppers, artichoke hearts, and stuffed olives, for a fun finger food meal. 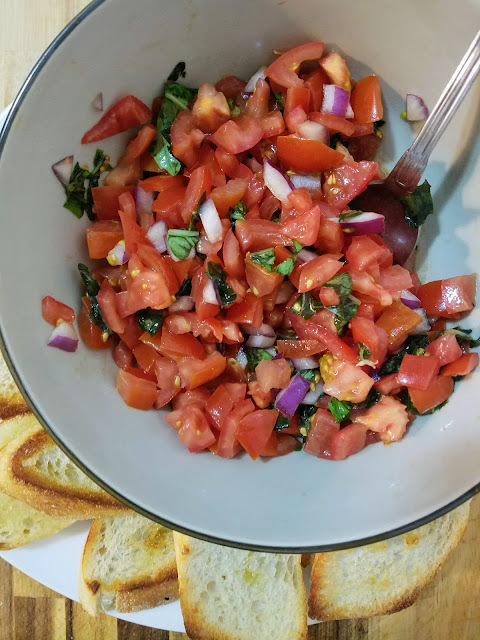 Pick up a fresh baguette on your way home from work and you'll have dinner on the table in 10 minutes. That's what I'm talking about! Preheat oven to 350 degrees. 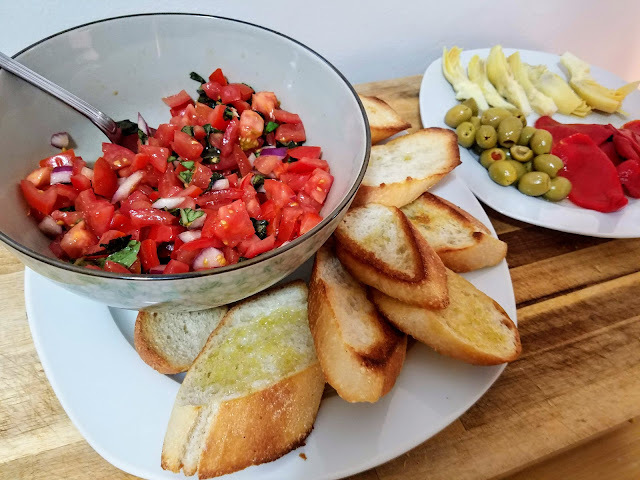 Place baguette slices on a baking sheet and brush with olive oil. Toast in the oven until lightly golden and crispy, about 7-8 minutes. Meanwhile, place all the other ingredients in a mixing bowl and toss. 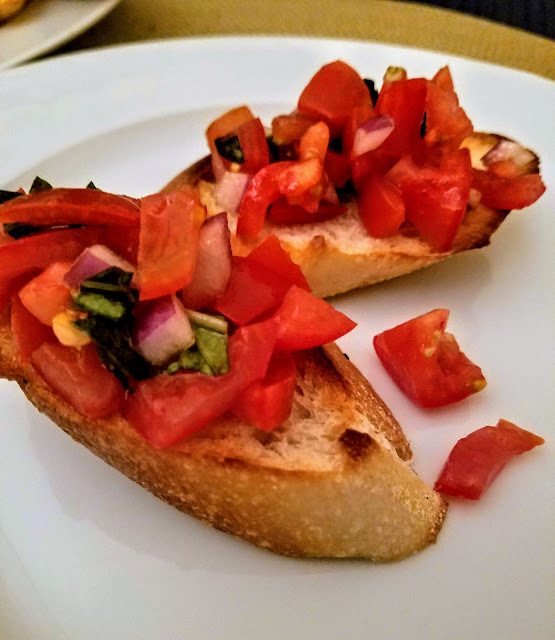 Serve bruschetta on the toasts.